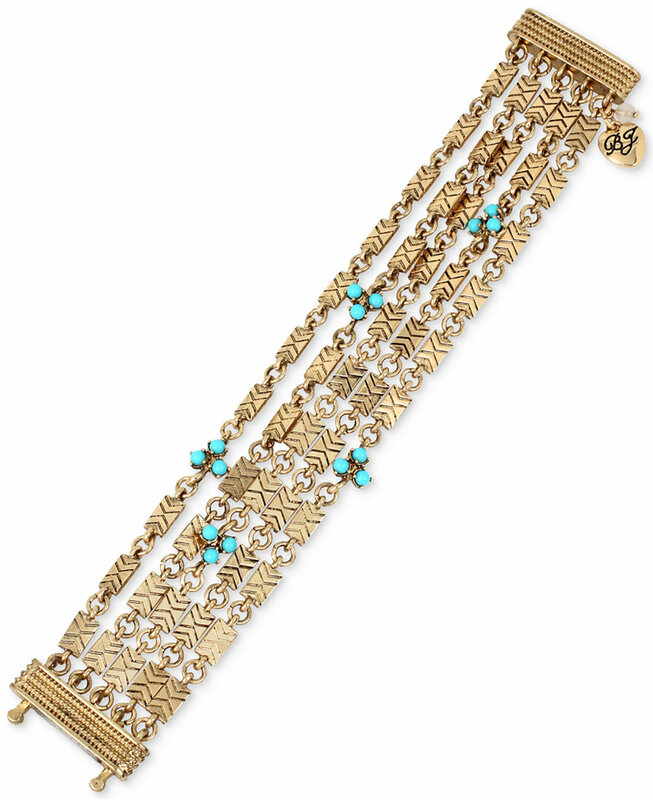 Betsey Johnson Jewelry Boho Betsey Blue Beaded Multi-Chain Bracelet Delicate blue beads add an ultra-feminine quality to this decorative multi-chain bracelet designed by Betsey Johnson in gold-tone mixed metal. Approximate length: 7-1/2"
Dark Shadows: As a follow up to a best-selling group from last year- Creep Show- we have a fun new way for the Betsey girl to accessorize for the Halloween season. Complete with fabulous pave vampire lips, skeletons, a new and exciting crystal mesh technique, and on trend y-neck silhouettes she will be the belle of the Monster Ball!